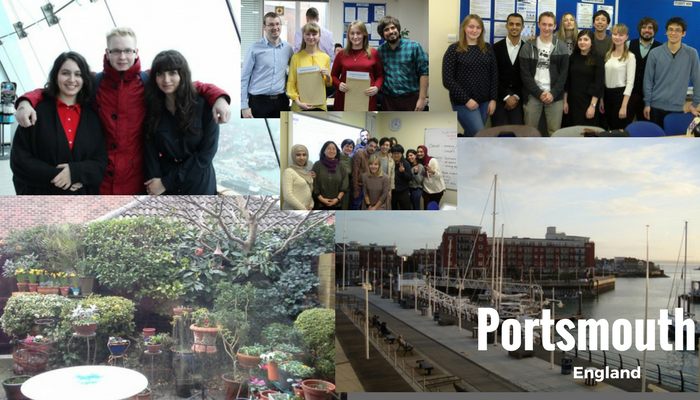 In January we had some lovely Russian students who came to stay and learn with us here in Portsmouth. On their return they wrote their feelings about their experiences (in Russian) and it was posted on their website. Very very kindly, they have translated into English what was said. We are incredibly grateful for the kind words and for the translation - as seen below. Students of Ivanovo State Power Engineering University (Ivanovo, Russia) share their impressions about the trip to LSI, Portsmouth (Language Specialists International), the United Kingdom. It is the sixth year when a group of students of Ivanovo State Power Engineering University (ISPU) and other Ivanovo universities has returned from LSI. ISPU is the official representative of LSI in the region and it annually organizes a two-week trip for students and teachers to LSI. It should be noted that during this visit the cooperation agreement between ISPU and LSI was extended for the next three years, which means that other students and teachers will have the opportunity to visit this language school. We were really impressed with professionalism of the teachers who taught us modern everyday English, continuous acquaintance with the UK culture (at LSI, in a host family, using public transport and just strolling along the streets, not to mention sightseeing of Portsmouth, London and Oxford). We had a good opportunity to see how traditions and customs of our country differ from others (students from more than 60 countries study at LSI)... “The luggage” of our impressions and received knowledge certainly exceeded all the Customs’ norms. We are sure that these impressions and knowledge will not only serve as an incentive for further English study, but it will also help to believe that dreams do come true. Here are some students’ impressions about the trip we would like to share with you. I was lucky enough to visit such an amazing country as the United Kingdom. We began preparing for the trip three months in advance in order to gather all the documents for the UK Visa Centre. Thanks to the professors of Intensive English Learning Department there were no difficulties in doing it and all the efforts were worth it. I think I was lucky to live with an Indian family and a roommate who was a student from Japan. I was enlisted in B2 level group where I got acquainted with the guys from Italy, France, Belgium, Switzerland, Japan and Saudi Arabia. Those classes with fantastic teachers will never be forgotten. No time to be bored! I also got an opportunity to visit London and go sightseeing: Big Ben and the Houses of Parliament, Westminster, Buckingham Palace, Tower of London, Tower Bridge, Saint Paul's Cathedral, Trafalgar Square, the National Gallery and many other attractions. Portsmouth made an indelible impression on me as well. It`s a very cozy, quiet, small city with wonderful people and incredibly beautiful streets and buildings. I would be extremely happy to be back to Britain and study at LSI. It`s already the third time we have been to Portsmouth. Many people ask us why we go to Portsmouth, they think that our English is perfect. Yes, our English is really good enough and we are no longer surprised by separate hot and cold water taps or ‘invertedly’ placed bus stops. But, England is constantly amazing us and each time we come here, we learn something new. Both the host family and LSI help us to be immersed into the culture of the country. Here we are taught vocabulary that native speakers of English use in everyday life. You can easily talk with LSI teachers about things that have surprised you and share your impressions with them. Captivating lessons boost your desire to learn English. Here you can have a talk on various topics with guys from other countries, play educational games and just have a cup of coffee to restore your energy after difficult grammar lessons. The city itself is stunning. On the one hand, Portsmouth is a quiet, calm and clean city, but on the other it is incredibly lively. Everything here is within walking distance: shops, cafes, restaurants, pubs, etc. It takes just 15 minutes to get to the coast where you can breathe fresh sea air. These things urge us to come back again and again. Although it was my second trip to Portsmouth and I knew almost all particularities of the educational process and leisure, I got a lot of impressions. There were two Swiss men, a Bulgarian, a Spaniard and a student from Saudi Arabia in my group and, by the way, I still keep in touch with some of them. As for the teachers, they are real professionals with their individual approach to students, that’s why the lessons were neither hard nor tedious. I spent my free time walking around the city and hanging out in local pubs. To sum it up, if you visit England and spend at least two weeks at LSI, you will improve your English skills, find new friends from all over the world, get experience of coping with challenges, and enrich your knowledge about other cultures. First of all, I want to thank ISPU for the opportunity to spend the best winter holidays in my life! I hope that cooperation between LSI and ISPU will continue from year to year. 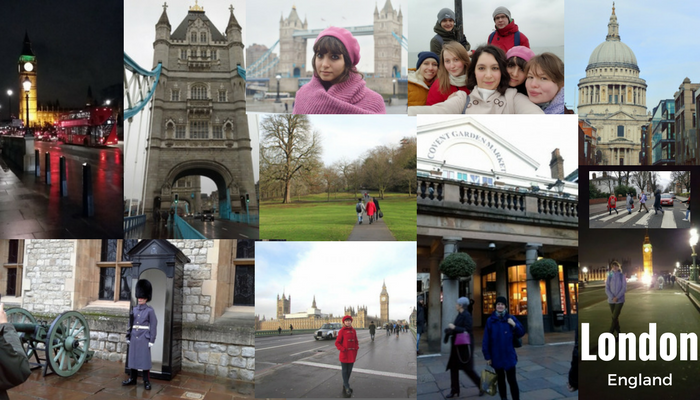 I have already visited the United Kingdom twice in a similar program but I should admit that this trip turned out to be the best! I had a nice and friendly host family, great teachers and an incredible opportunity to practice my English with foreign students! The lessons were so intensive and gripping, the teachers didn’t let you get bored. I am happy I participated in this program and I do want to return! I nurse the hope that I would visit LSI again! My first attempts of translating the documents for the UK Visa Centre were a good experience. When we had overcome all travel formalities and procedures, our group of 11 people headed for Portsmouth. On the first day we took an exam which helped properly identify our level of English. I found myself in the group taught by a young teacher named Kate. The lessons were top level! Everyone in my group was very friendly and communication with new friends and practice of English were a great joy! My hostess treated me kindly and we are still in touch with her by communicating in social networks. I enjoyed the cuisine, the nature, the architecture and the attitude of the British to us. My childhood dream was to visit London and it came true. We spent two and a half days to explore this city. I will never forget Big Ben, Trafalgar Square, Royal Observatory, Tower of London, Tower Bridge, subway trips and nighttime strolls. I received new knowledge at LSI that will definitely be useful for studying at my university. I hope that I will get a chance to return to this beautiful place. The trip to Portsmouth was magnificent! I really liked LSI, especially those creative lessons! I got a good practice. My English family was wonderful. We were talking for hours touching upon all sorts of topics. I set a goal to visit this place next year. Having once been at LSI you will inevitably wish to get there again. Ivanovo State Power Engineering University. 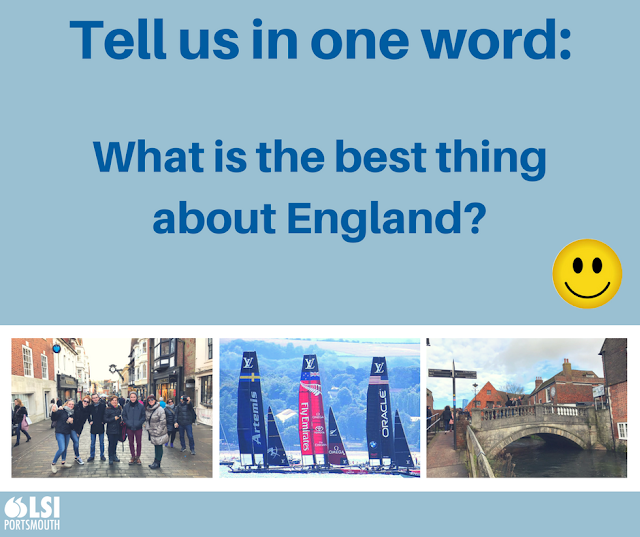 What is the Best Thing about England? We Asked, Our Students Told Us. As a teacher, when you ask students questions you often have an idea what they will answer, but more times than not, they will come up with something completely unexpected. For the last month or so we have run a little ‘campaign’ on Facebook where once a week we have asked our students what was their favourite thing about certain areas, for example, the best thing about Sundays, favourite place in Portsmouth and why they were learning English, that sort of thing. We made it easy, they just had to answer with one word. Some great answers came back. Someone said you need the English language in the same way you need a passport (which of course isn't just one word ;-). To the question about Sundays? The best things were; sleeping, leisure, relaxing, shopping! The post that we got the most answers to was the question 'What is the best thing about England?'. The responses were so varied and really interesting. At the top of the list were LSI Portsmouth (thank you ;-), Portsmouth, the People and well ‘everything’. Then we came to a wide variety of things, politics, history, culture, language, London and all the changes that are happening at the moment. This really appears to go to show that the reasons we think people come to England might not necessarily be the actual reasons, or maybe the reasons they have stated as being their favourite they have discovered as the best things since coming here. Whichever it is, it is good to know that England has so many good reasons to visit. Can you add any? Business English? What is it? I was asked this morning what Business English is? 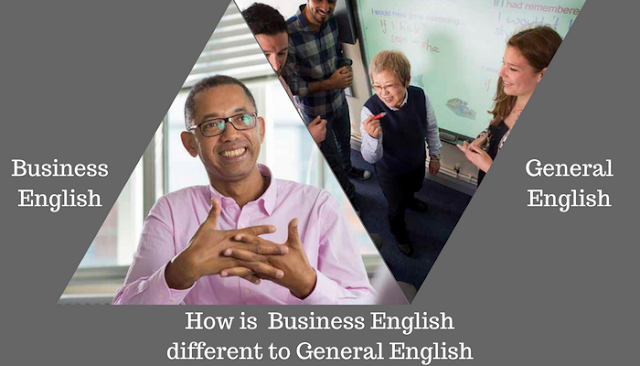 ‘What is the difference between Business English and ordinary English?’ they asked. Well, that is a really interesting question, which a lot of people have different opinions about. (This is after all just an opinion blog). To answer this question a little better, it might be easier to compare the differences between the General English and Business English courses that we run here at LSI Portsmouth. Firstly as a language school in England, the basics are the same for all our students. They are immersed in an English environment, where they have to use their English, whether they like it or not. The benefit of this cannot be underestimated. Seeing and hearing the language spoken all around every day is such a boost to anyone’s language learning. No leaving the classroom and reverting back to your own language here, you have to use what you have learned and more, and you will see it and hear it all around you, the street signs, on the radio, on the TV, in the shops, there is no getting away from learning English while you are here. Socialising with other students is also the same whatever type of course you do. You may choose to stick with people on the same type of course as you, but you will still more than likely be talking to other students from all over the world, you will hear different accents, different viewpoints and have a greater cultural awareness from this simple and fun fact. When you learn general English you look at grammar, structures; tenses and word order etc., vocabulary, and pronunciation. You would also look at the typical functional language that you would need in an everyday situation, like buying a train ticket, shopping, maybe going to the hairdresser? Of course, there are skills that are necessary as well like listening, understanding fast speech, being able to read a newspaper or social media. The students who study General English are very often studying it for pleasure or possibly because they want to have a better level of English for now or in the future, but not necessarily for any specific purpose. They may have taken time out of a course and often stay with us for an extended period, often for a month or two at least, sometimes up to a year. By contrast, most of the students who come and study on our Executive or Business English courses are working people. Of course, this makes life a bit more difficult to take months away from, so their courses are much shorter and are concentrated, more intensive. They have a wide range of grammar, skills and functions fitted into their one or two weeks. On average our Executive students stay with us for two weeks, some for shorter some for longer. Of course, the basics are still needed as above, so the grammar and structure, the pronunciation and the skills are the same, but your course would be focussed on the specific field you were in. For example, a Journalist would want to look at different writing styles, the terminology in their field, whether it is newspapers, magazines, social media or broadcast journalism. The type of language that is specific to that area. A broadcast journalist would probably have practice speaking English in a broadcasting role-play, maybe being filmed so as to be able to discuss this after, looking for ways to improve. An Export manager though would look at the language of transport and distribution logistics, export documentation, possibly the language of customs requirements and tariffs. They might look at the functional language of telephoning to give and receive information, speak at length in detail, negotiate a contract or email writing. In order for our students who are on the Executive English courses to have a tailored course, specific to their requirements, they would generally have a one to one teacher for part of the day, so their exact needs were analysed and met. Maybe for a part of the day they would join a small group of similar level and needs business students. 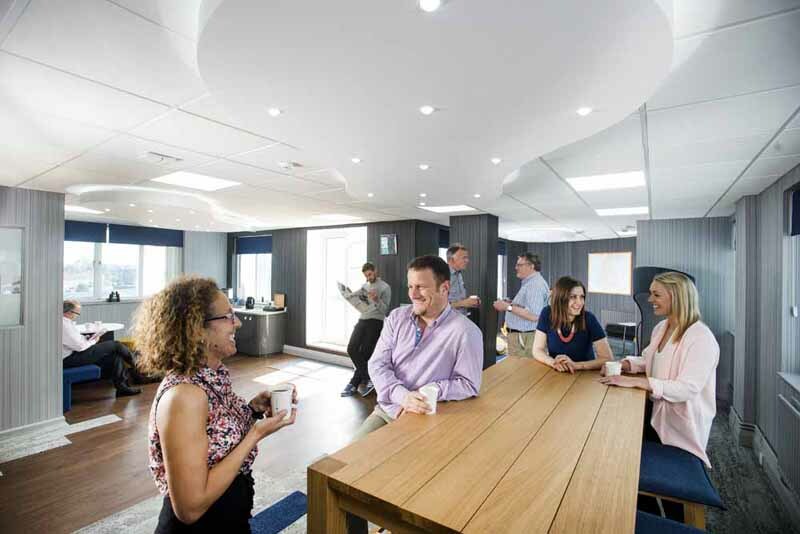 At LSI Portsmouth the small group element of the business course comprises no more than four similar level students, each with similar requirements. The benefit of studying with a few other students is being able to hear other accents, and hear other opinions, but not be intimidated when trying out new elements of the language. The added benefit of a small group is that there is plenty of opportunity to speak. In the smaller group lessons the students will practice the function language, for example leading and having a meeting. This is then very close to a real life situation for many of them, with a variety of different accents to understand. 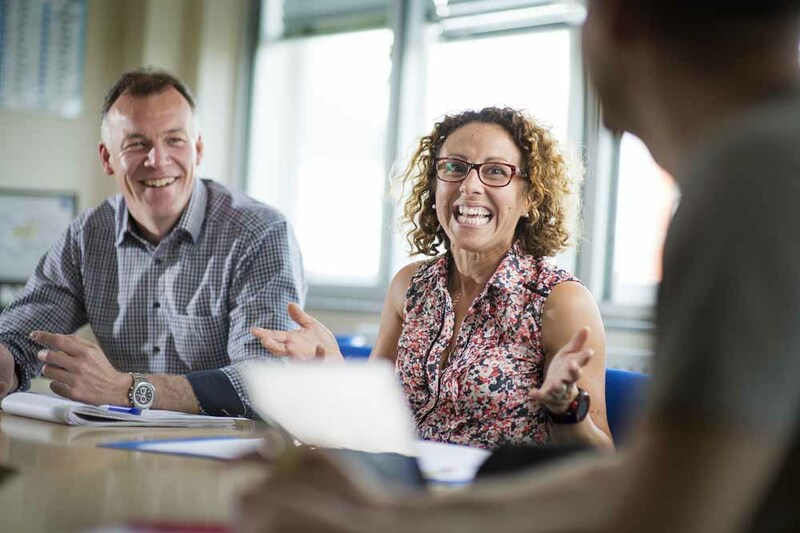 Over the last 35 years here, we have managed to perfect our courses that deal with corporate English, and our feedback from our students to the question ‘What would you change about the course?’ nine times out of ten says ‘Nothing’. You’re in the UK. You get up in the morning. You’re hungry. So, what do you have for breakfast? Well a full English breakfast of course! 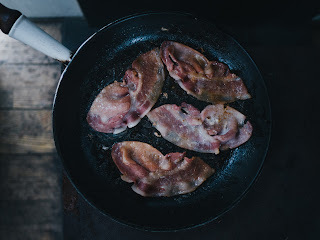 * Whether you’re a meat eater or a vegetarian there’s no better way to start the day than to have this sort of breakfast. Whilst it’s not a good idea to have it every day, having it once or twice while you’re here is fine and it does set you up for the day. But what exactly does this substantial dish consist of? As mentioned above you can have a breakfast which comes with meat or not. Both types normally have some or even all of the following: fried eggs, baked beans, tomatoes, mushrooms and hashed browns. The meat version will also include bacon, sausages and possibly black pudding. This last food is not a pudding at all but is the British variation on ‘blood sausage’! The vegetarian dish will substitute meat sausages for vegetarian ones. Occasionally the breakfast will come with another very British food, bubble and squeak. This is a dish made from left over mashed potatoes and cabbage which has been combined and then fried. Accompanying this very full plate will be toast and butter, washed down with lots of tea or coffee. 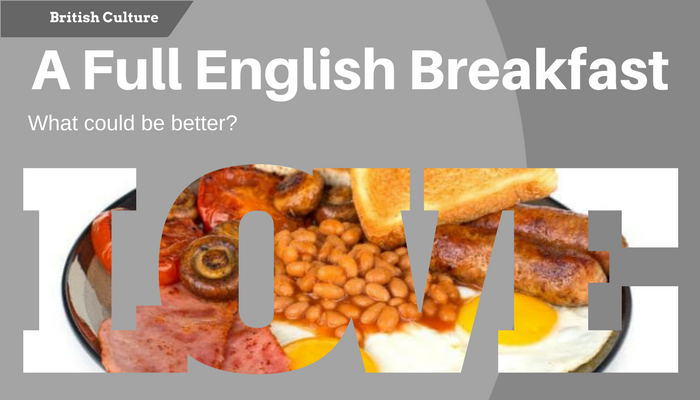 The popularity of this dish means that many cafes, restaurants and pubs will offer a full English breakfast (it’s also simply called a ‘full English’ or a ‘fry up’) up to and including lunch time and some will even offer it as an all-day meal. Trendy cafes will offer ‘artisanal’ versions of the dish. If however you wish to get the full British experience, try to find a ‘greasy spoon’. This is not as the name suggests a very dirty piece of cutlery but instead a cheap cafe or restaurant which specialises in fried food. Many eateries today will have a full English breakfast on their menu and normally at a very competitive price. Most places will also offer alternatives to the ‘full’ meal with just a few of the main ingredients. In some you can ask for your eggs to be cooked in a particular way: fried, scrambled or poached. Whichever way you choose to have your full English breakfast, enjoy it! *You can also get a ‘full Welsh’, a ‘full Scottish’ and a ‘full Irish’. There are regional variations as to what you will find on your plate, though the main ingredients are mostly the same.